The master of craftsmanship on delivering good quality films – filmmaker Suseenthiran is having three films – Angelina, Champion and Genius at different stages towards release. 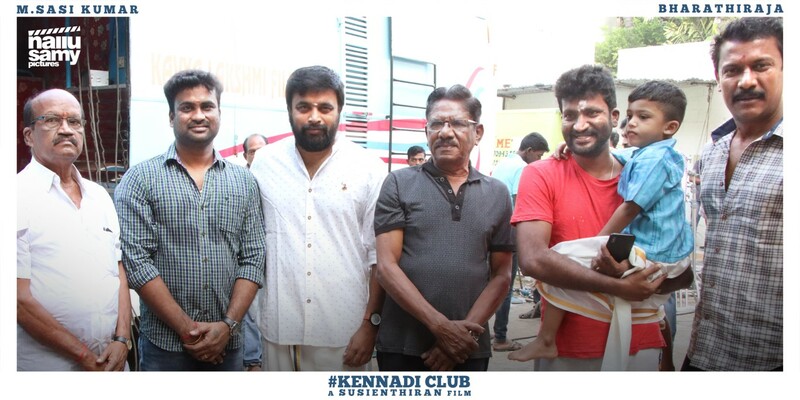 While Genius is scheduled for release on October 26, the filmmaker kick-starts his next film titled KENNEDY CLUB with Sasikumar, veteran filmmaker Bharathiraja in lead roles with Samuthirakani, Soori, Munishkanth, newcomer Meenakshi, Gayathri Shankar, Neethu, Sowmya, Sumithra, Soundarya and few more prominent actors will be a part of this cast that is based on Women Kabaddi Team. Talks are going on with a well known Bollywood villain actor will be seen in the role of a North Indian coach. D Imman is composing music for this film that has cinematography handled by R.B. Gurudev. 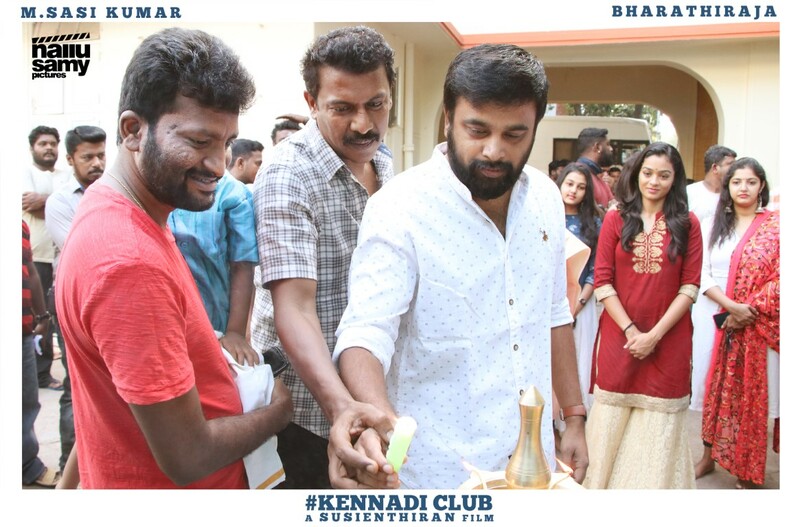 While Sekar B is working on art work, Suseenthiran is wielding megaphone for this movie with Thai Saravanan producing the film for Nallusamy Pictures. 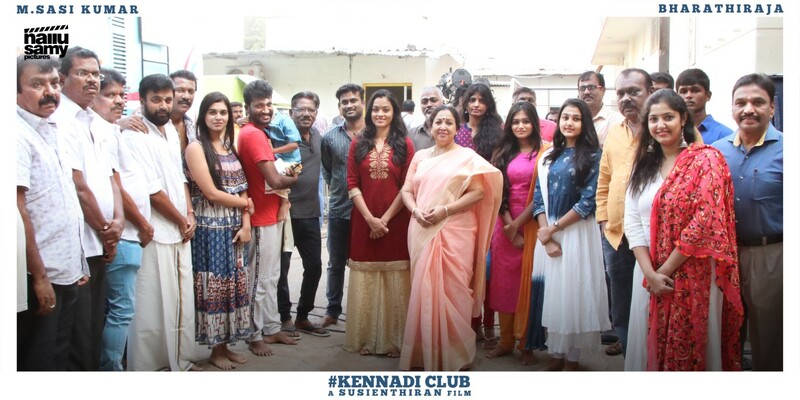 The film is set against the backdrops of Pazhani and director Susienthiran confirms that the movie will be releasing for the festive occasion of Tamil New Year Day. It is worth mentioning that Susienthiran’s father has been the founder of a well renowned Kabaddi club, which has been over 40 years. It has been far-famed for coaching and training the players, who have brought back more honours to our country by participating in various National and World Championship games. The film will have such life inspirations, which will also include some of the real life women Kabaddi players as well. 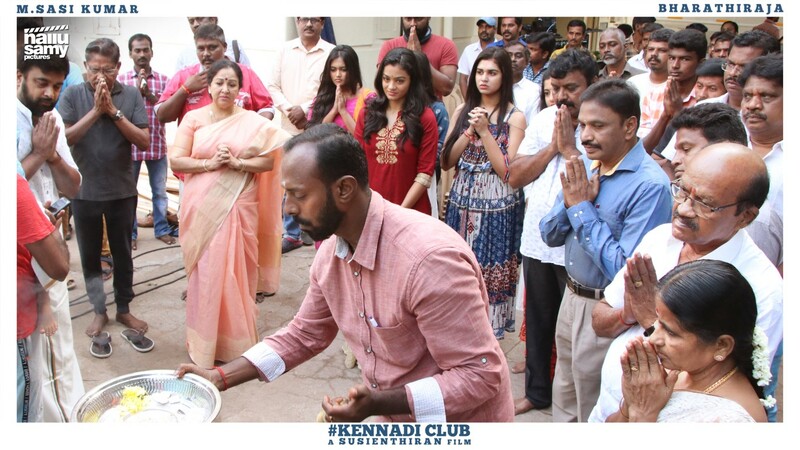 The film started rolling from today with a formal pooja, where the actors of this film were present.